On the 25th anniversary of the Rodney King beating, Los Angeles Daily News told Rev. 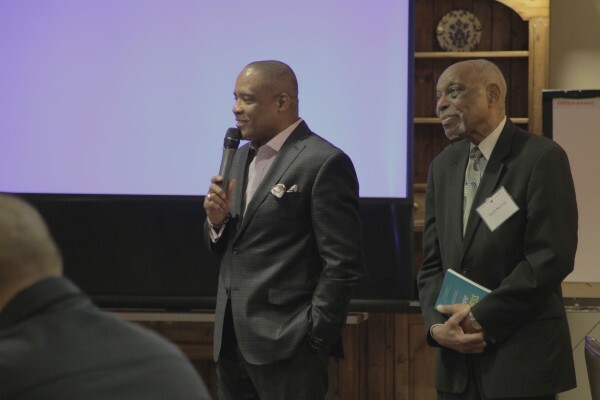 Mark Whitlock’s story of how the event affected his personal life, the church and the broader community in South Los Angeles. When four police officers were acquitted from beating King, Whitlock was closing a $35 million real estate deal. Watching the fires burn in the uprising that followed the acquittal, Whitlock decided to leave his corporate job and help First African Methodist Episcopal (FAME) Church bring resources and jobs into the community. “At the bottom of what took place 25 years ago was the lack of jobs, the lack of opportunity and the lack of hope, which spilled over into burning streets,” Whitlock told the L.A. Daily News. He and Rev. Cecil Murray started FAME Renaissance, the economic development arm of the church. Today, they teach other faith leaders how to have a similar impact on their communities through the Cecil Murray Center for Community Engagement. Click here to read the L.A. Daily News’ story. Click here to find out more about the Murray Center and its programming, and sign up for the CRCC newsletter.